Your home page will display only articles and calendar events related to your fleet. You may change your preference anytime by changing your fleet preference in the upper right corner of the website. Here is the Notice of Race. Tickets include complimentary wine and beer, hors d’oeuvres, herb crusted salmon or NY steak, cappuccino ice cream. Come in a Duffy? 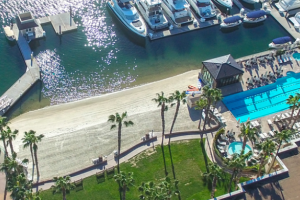 Call Judy Weightman to reserve dock space or find a Duffy ride. The Harbor 20 Class Association is a voluntary Corinthian association. 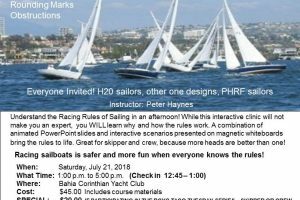 Its purpose is to promote the continued enjoyment of Harbor 20 Class Yachts in fair, Corinthian, one-design racing, and in day sailing and other social activities, and to promote friendship among owners and crews. All current Class Members can receive a printed Class Roster at no cost. These rosters are printed once a year and must be ordered before printing. An online Member Roster is available to members at all times, and is the most current database of Class Members. 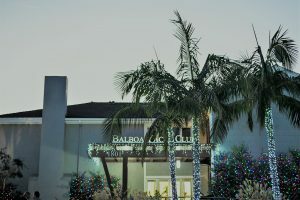 You can access the online Class Roster through the “Members” menu item. Fleet membership must be purchased separately. 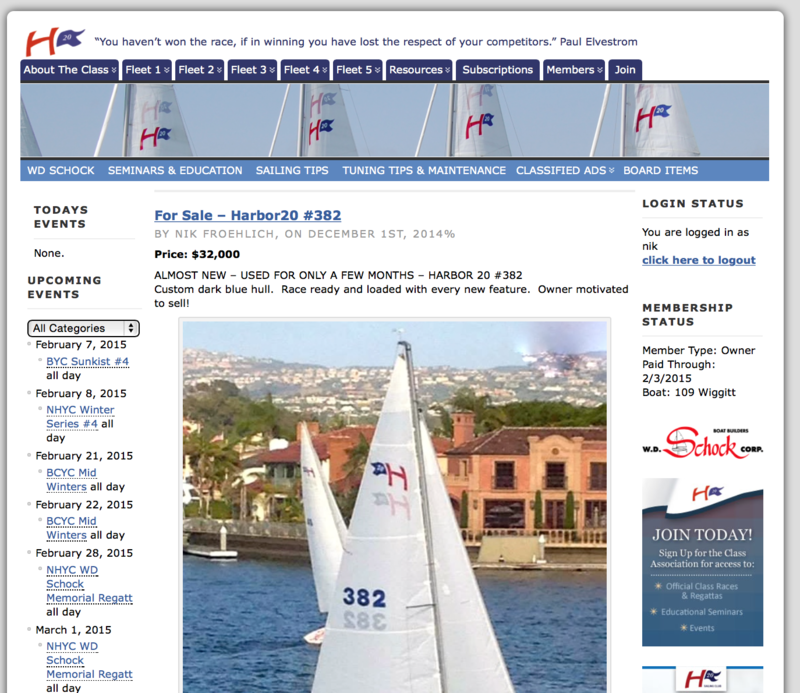 To place a classified ad on the Harbor20 Class Website, you must pay a one-time $50 fee for the listing. Your ad will remain on the website until you tell us to remove it. The Classified Ads page is the most visited page on the Harbor 20 Website! 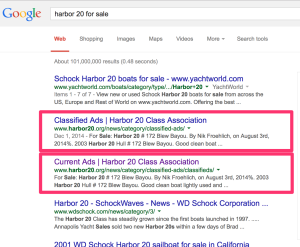 The Classified Pages show up in positions #2 and #3 on Google searches for Harbor 20’s for Sale, just under the Manufacturer.